Tomorrow I will be posting my review for Theater in Asylum’s production of #Coriolanus, a 21st Century, social media inspired adaptation of Shakespeare’s play, The Tragedy of Coriolanus. But I must first air some grievances: before deciding to see this I knew nothing about either Theater in Asylum’s work OR Shakespeare’s play. Though I have caught up with the company as much as possible on their website, I will focus the majority of this Pre-Game on the homework: reading Coriolanus. 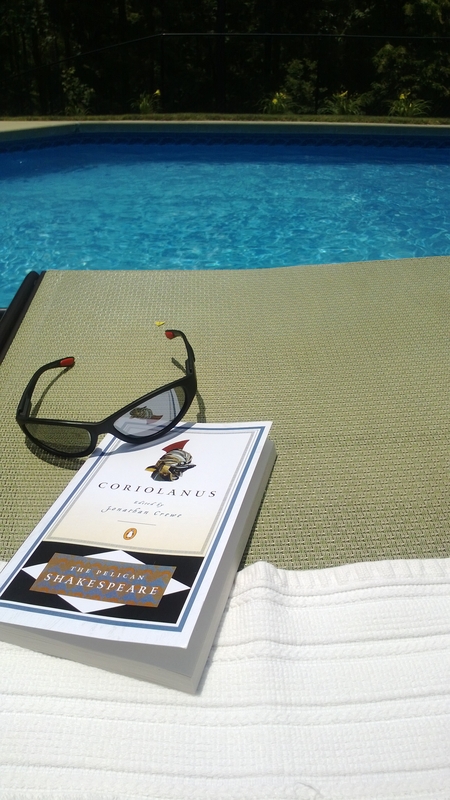 Like most of Shakespeare, Coriolanus surprised me for a number of reasons. I truly did go into the play with no preparation – I am a big enough dork that I didn’t even go to the Wikipedia page for fear of spoilers for this 400 year old play. At first the immersion was trying – I haven’t read Shakespeare in a while, so I had to kind of reteach my dumb 21st Century brain how to read the language. Also, unlike even the groundlings of Shakespeare’s day, I know very little about Roman history and confronted all the “eus” names in the text, like Cominius, Memenius, Aufidius, etc., with utter confusion. But after I had put in a little effort, this oddly modern play about Roman politics truly sprang to life for me. There is a hell of a lot of smart stuff to be said about Coriolanus and most of it has already been said elsewhere on the internet; I don’t have any groundbreaking new reading of it. There are a few things that occurred to me while reading it that I wanted to consider briefly before seeing Theater in Asylum’s production. In Act One Scene One of Coriolanus we are given a fantastic speech that frames the whole play. Memenius, a Roman senator and pundit, chides a group of rabbling plebeians (Roman commoners) who are protesting the lack of grain. The senators and nobles, they claim, seem to have plenty. Memenius likens Roman society to a human body, wherein the hands, feet, and other body parts have revolted against the slovenly belly, which the blue-collar appendages feel only gobbles up the fruits of their labors. Memenius points out that the belly, like the Roman senate and noble classes, do not just receive the benefits and nourishments, they also distribute them equally throughout the whole body. Into this scene, with all its parallels to contemporary debates over the 99% and the redistribution of wealth, comes the belligerent general Caius Martius, who will later be renamed Coriolanus and bears no love for the plebeians. We are told he had something to do with cutting their civil liberties and that to them he represents the epitome of elitism and fascism. Coriolanus’ choleric nature and hatred of the lower classes is so infamous in literature that his name has essentially become shorthand for fascism. 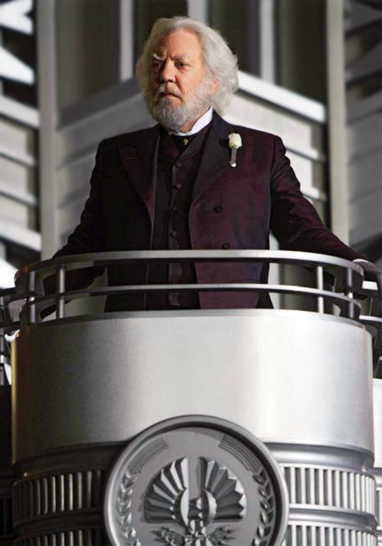 When it came time for Suzanne Collins to name the oligarchical president in the dystopic future world of The Hunger Games, she named him Coriolanus Snow just to be sure we got the message. In addition to the god-like status and unmatched battle prowess Shakespeare gives Coriolanus, he makes a point to show him as a petulant man-child throughout, and the ultimate victim of his own upbringing and bad temperament. But Shakespeare is careful to not totally side with the plebeians either, who, In Coriolanus’ defense, come off pretty fickle and easily manipulated. In the play, Rome has recently elected two tribunes, Sicinius and Brutus, to give the people a voice in government and keep the forces of tyranny at bay; however Sicinius and Brutus are clearly corrupt and tend to whip the Roman mob into frenzy for their own ends. Based on the press notes, this resonance with the current political landscape is something #Coriolanus takes full advantage of. The discussion about the role of government and the power of public opinion are central to our cultural right now. The push and pull between a total dictatorship, which Coriolanus would surely prefer, and true mob rule give the play a startling revolutionary air. There is a nice synchronicity between what is going on in Coriolanus’ Rome and contemporary movements like Occupy, the Tea Party, and the Arab Spring – movements that all took root thanks to social media platforms. The story of Coriolanus, who literally lives and dies by the crowd’s opinion of him, seems like a good fit for Twitter, a forum where many a celebrity and politician has felt the immediate sting of public rage. In addition to be being a political thriller, Coriolanus is in many ways an action movie, employing (or perhaps introducing) a number of conventions made familiar in pretty much every Bruce Willis movie. You can check out some of them in this helpful and hilarious TVtropes listing. After establishing the political stakes, the story moves swiftly to a lengthy action sequence in the city of Corioles, where Coriolanus’ nemesis Aufidius is marshaling his Volscian army against Rome. As a soldier, Corionalus is a kind of blunt instrument and, like Die Hard’s John Mclaine, an utter badass who lays waste to essentially the entire city single handedly. Like Bill Pullman in Independence Day, he makes several rousing speeches, even if most of them are essentially threats to kill any of his men who disappoint him. The eventual decimation to the city of Corioles is to such a degree and the victory is so monumental for Rome that Caius Martius is RENAMED Coriolanus as a badge of honor. Think about that for a second. This would be like in the Civil War if General Grant was renamed Ulysses S. Gettysburg. As Coriolanus’ mother Volumnia says, “action is eloquence” to the dumb citizens of Rome, and wanton bloodshed seems to be the only thing they understand. The intense blood feud between Aufidius and Coriolanus yields another early example of a typical action movie scenario: the uneasy alliance between sworn enemies. This team-up comes after Coriolanus has been banished from Rome by the plebeians, and so turns to Aufidius to help carry out his revenge upon the city. This is like when the sworn enemies Battra and Mothra join forces against Godzilla in Godzilla vs. Mothra, except with a lot more blatant homoeroticism. Seriously, check out some of the examples of what I have learned is called “Foe Yay” in Coriolanus in this Cracked article. Sexual energy between enemies is certainly a thing that survives in modern media, like the Joker calling Batman “darling,” or Javier Bardem getting all up ons James Bond. Based on their website, Theater in Asylum tends to incorporate a lot of dance and movement into their productions, so it will be fun to see how they handle all this action. To hear my nothings monstered. He would not answer to, forbade all names. This idea of creating identity through action permeates the life of Shakespeare’s Coriolanus. When asked what she would do if Coriolanus fell in battle, Volumnia says, “his good report should have been my son; I therein would have found issue.” When Coriolanus first goes to Aufidius, he says that his name, which he got by his vicious warlike actions, is all that is left him. 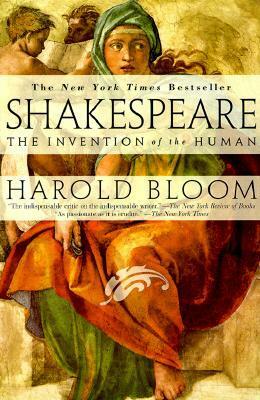 As Bloom says, the Coriolanus in Shakespeare’s play isn’t a troubled but compellingly rendered human mind like Macbeth, but rather only a kind of narrative construct defined by his actions as they are reported on by others. He doesn’t want to hear his “nothings monstered,” perhaps because he knows that there truly is nothing of himself in there to monster, and what is there – the “good report” of his heinous acts – is already monstrous enough. Considering that creating an “identity” is a fundamental part of the online experience, #Coriolanus seems off to a good start – even as written in 1607, Coriolanus was already more avatar than man. This was a really interesting read & touched on many of the challenges I felt while preparing to appear in this production. Based upon your thoughtful & insightful analysis I very much look forward to your review! Thanks Madeline, glad you appreciated the post. The production was a lot of fun, and i had a great time. Best of luck for the rest of the run. Monday, Wednesday and Thursday would be best to update blogs. the right along with your visitors and search engine rankings.